Order in 4 Hours 35 minutes 14 seconds for dispatch today! Extra Warmth & Dryness Next-to-Skin. Natural warmth generated by Endurofil™ microfibre yarns. Moisture wicking microfibres knit against the skin trap warm air, keeping feet warm and dry. Recommended to be worn under other Bridgedale socks in extreme conditions. I have been using these for a while and have several pairs. They do tend to 'pill' a little after years of wear but it's not significant. I take a UK size 9 shoe and ordered the large size as indicated - but comparing them to the ones I had already, they were clearly too large. Jacksons changed them with no problem. I find that these liners can be worn on their own with a breathable shoe in hot weather and are really cool - so the 'thermal' quality works both ways. Best thing is that they keep your feet dry even when outer socks get damp as they wick moisture really well. I freeze and sweat easily. These are the fishnets of socks. These are now permanent on my winter pack list, and I use them almost everyday when biking, jogging, walking, skiing etc. 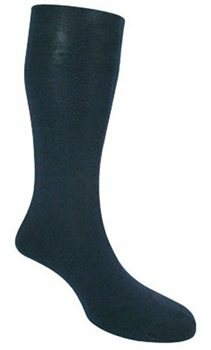 Wicks sweat quickly to your insulating socks, and feels cool against the skin. Prevents blisters. Ok, no warranties, but they help alot! Hard wearing syntethic. Some pilling on the heal. But Kevlar socks is probably pretty pricey! Weight and bulk close to nothing. No problem carrying spares. Extremely quick serivice and low shipping costs to Norway. With the automatic deduction in VAT, the price delivered to Norway was cheaper than buying in the shop. Will return to this shop. The socks have only been used a couple of times so far, but seem comfortable and will be tested on a winter tenting-trip soon.